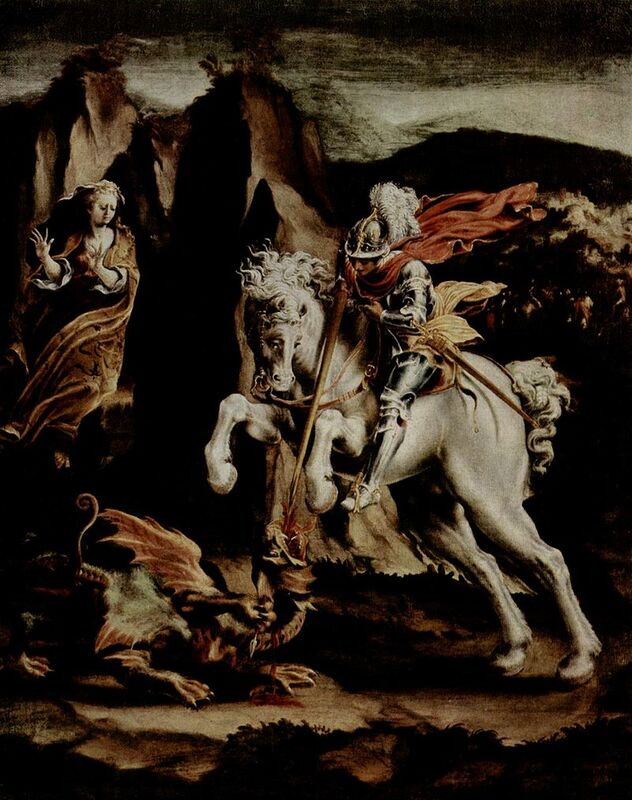 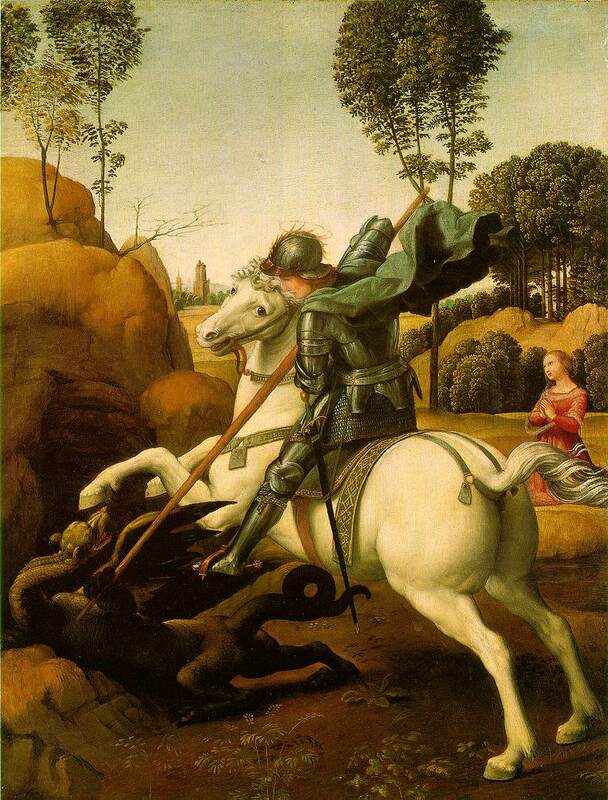 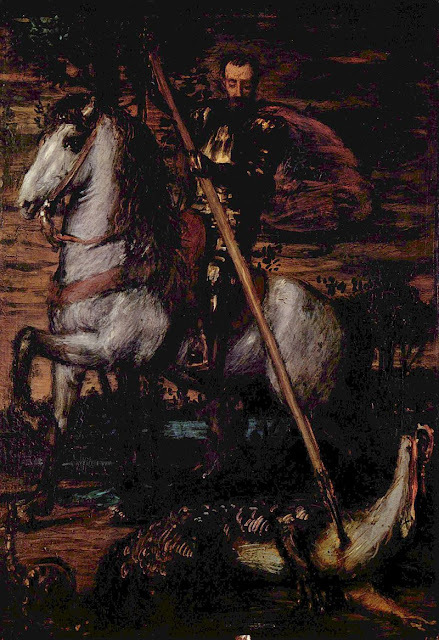 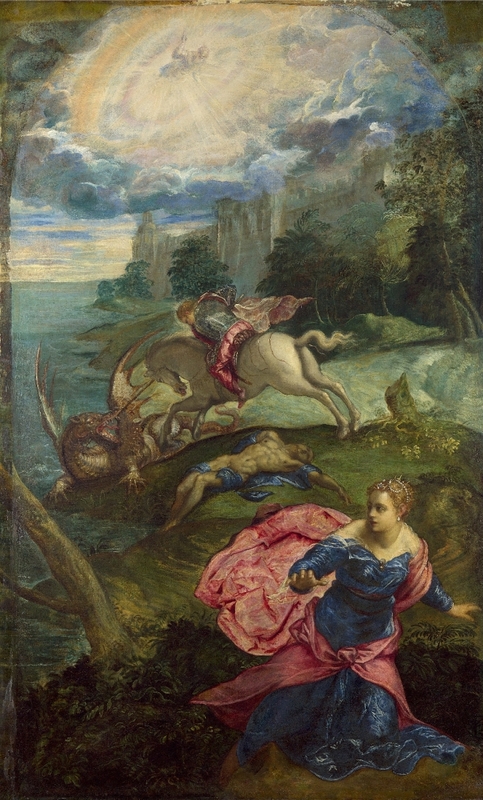 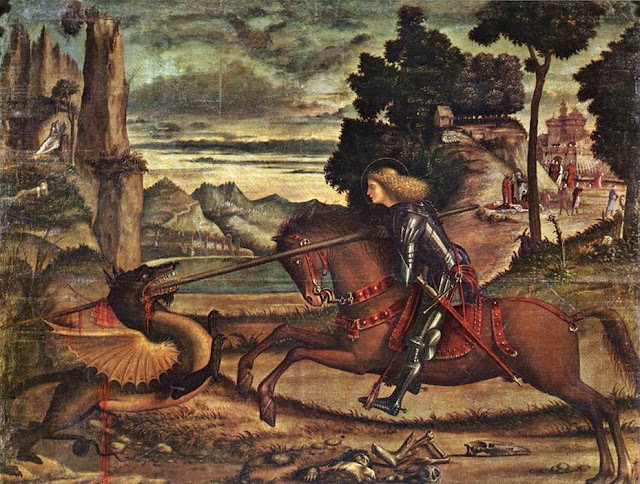 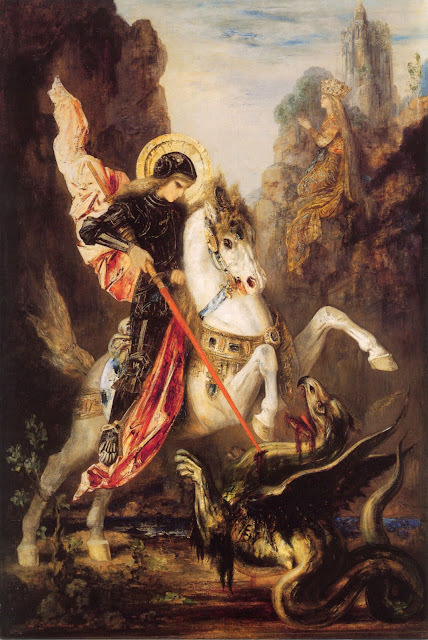 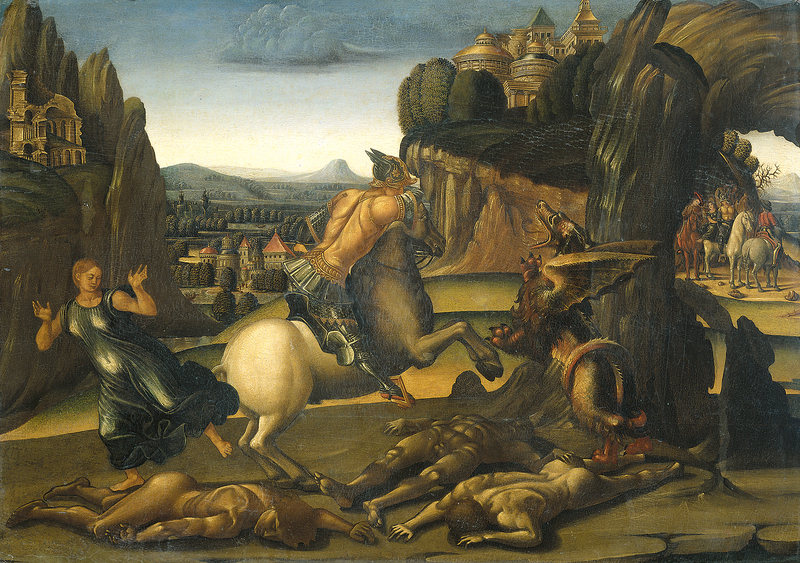 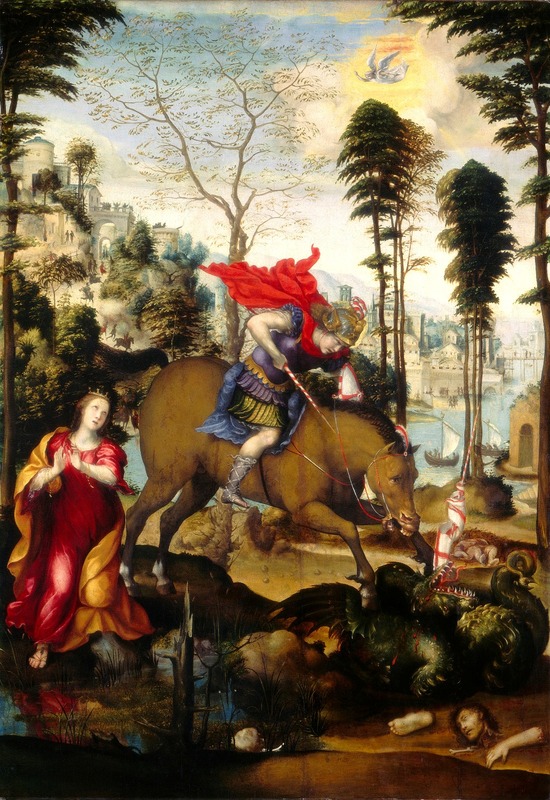 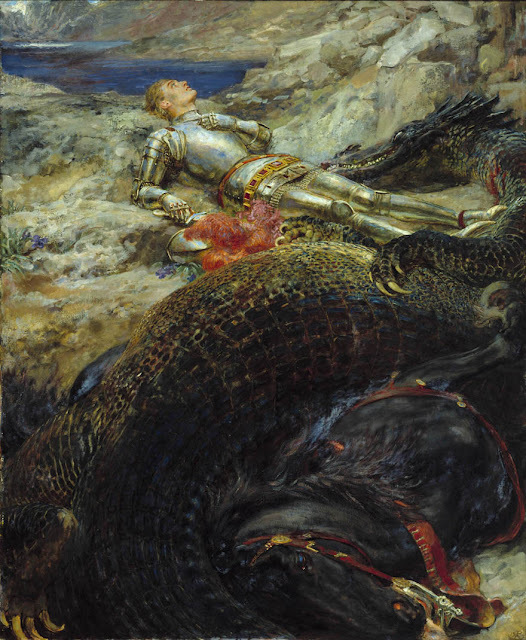 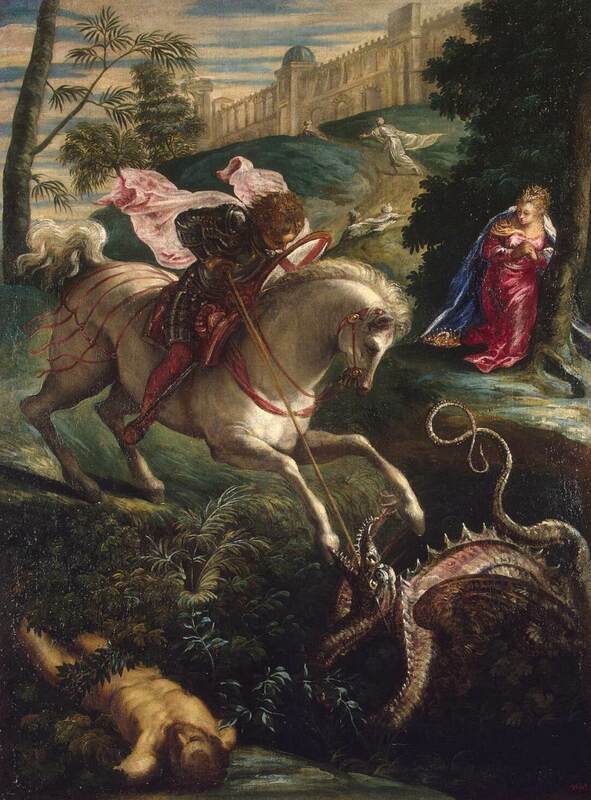 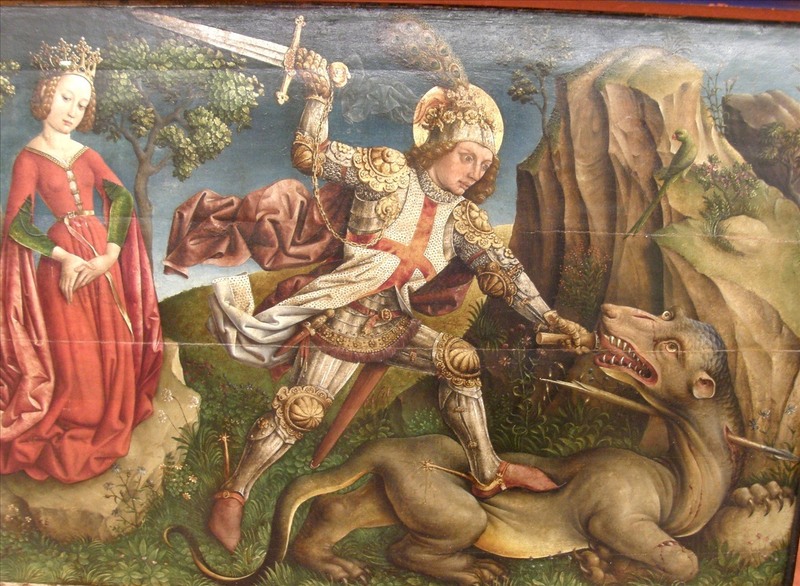 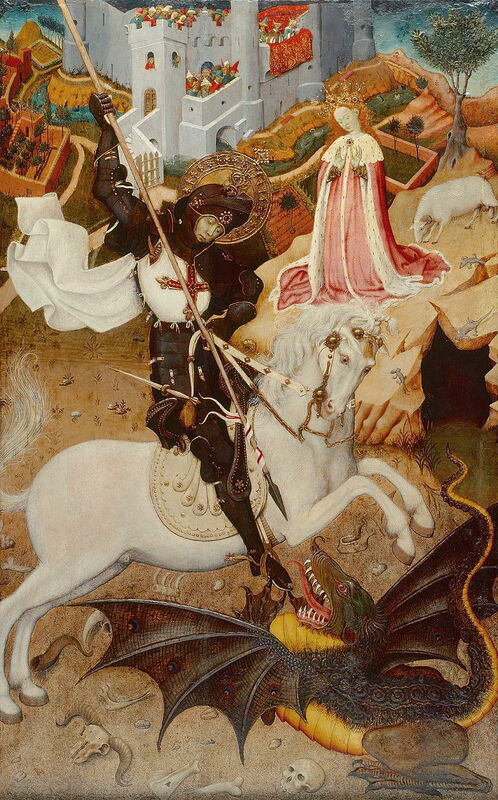 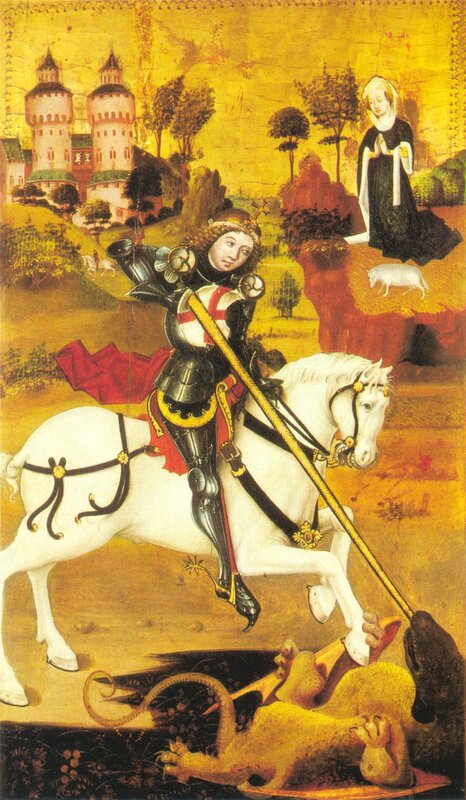 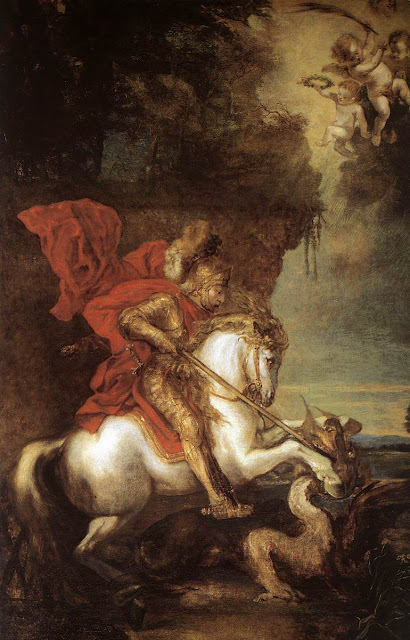 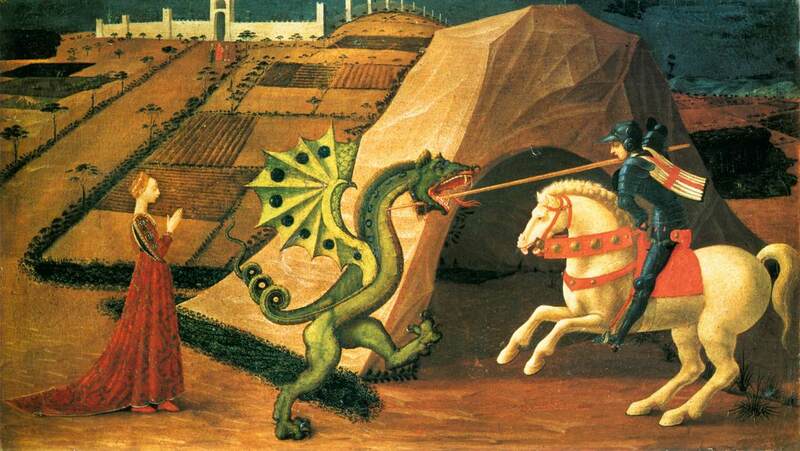 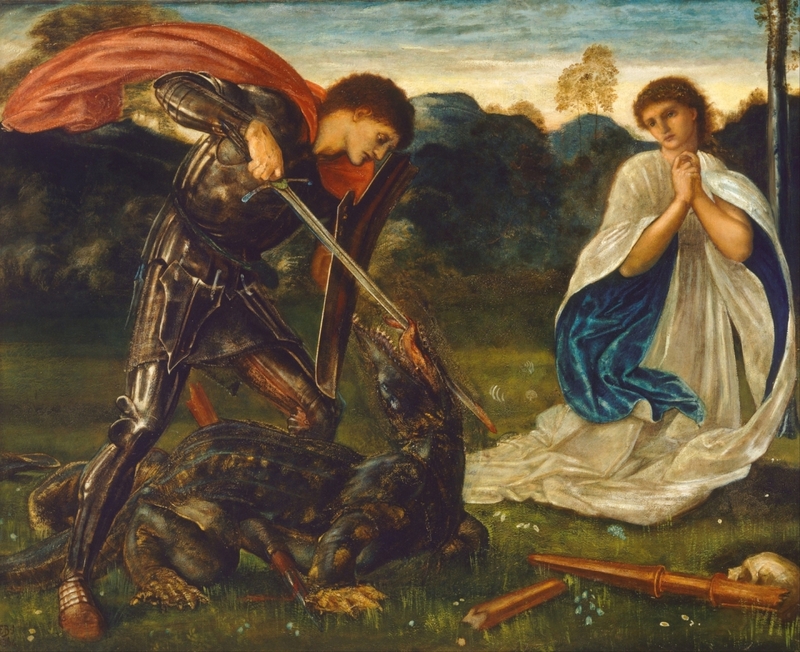 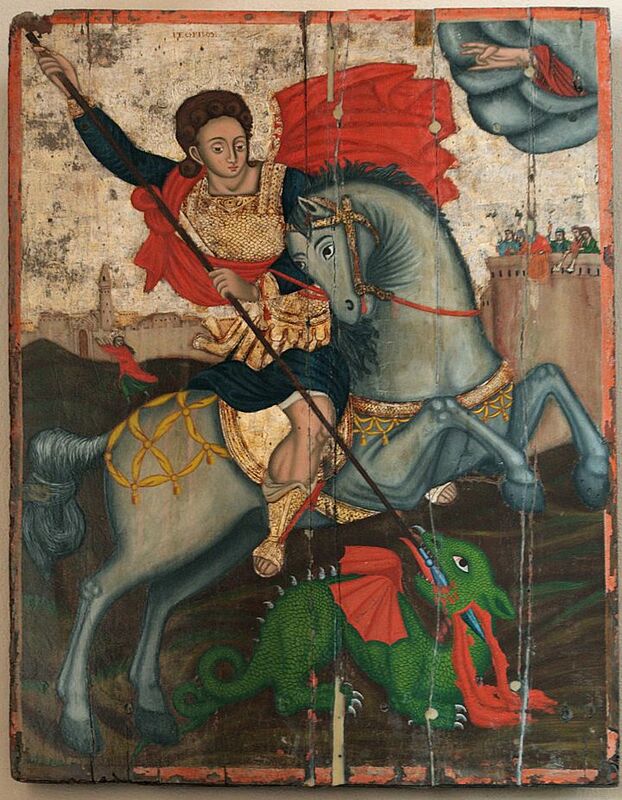 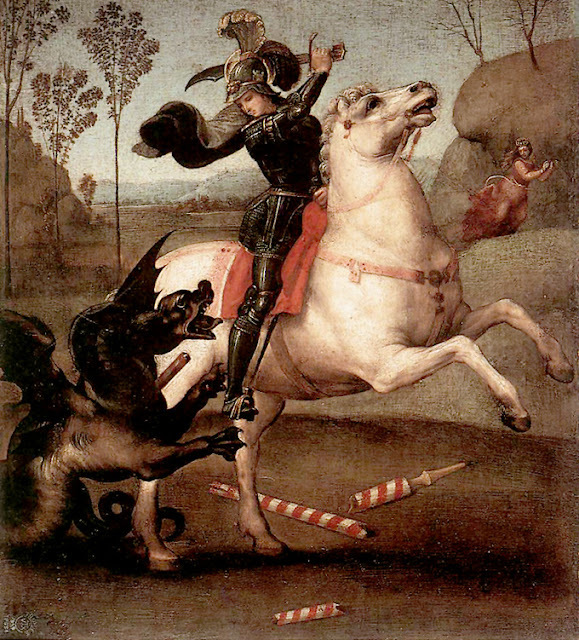 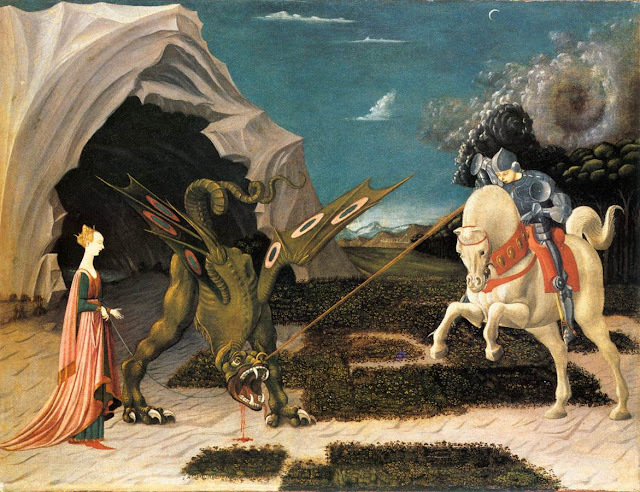 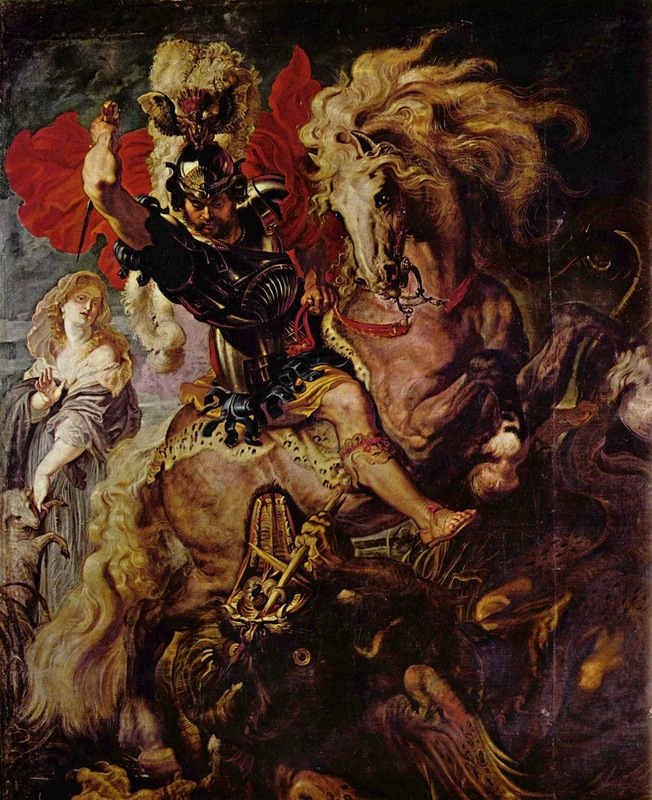 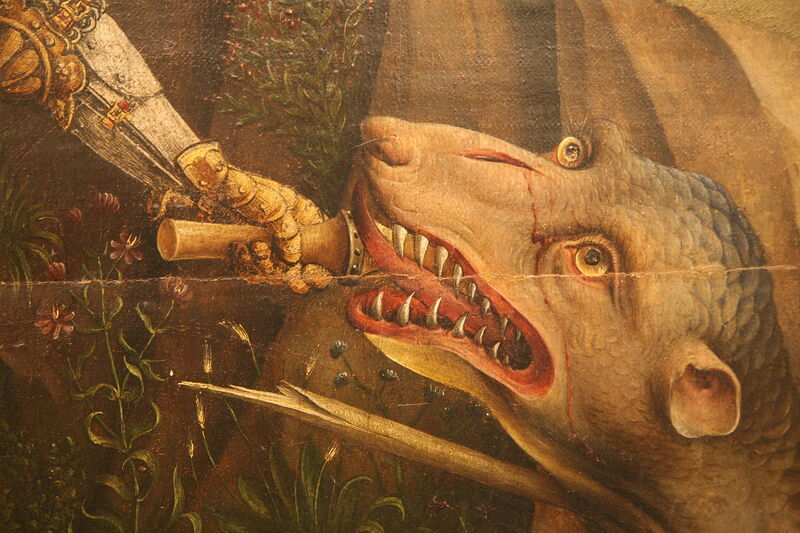 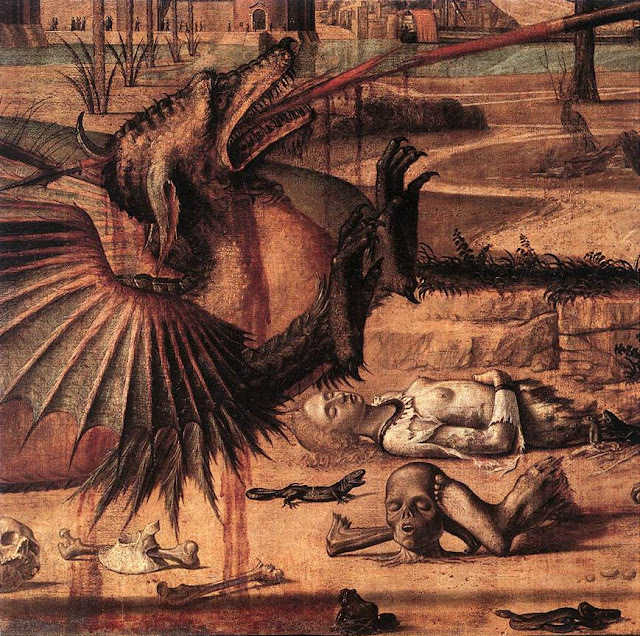 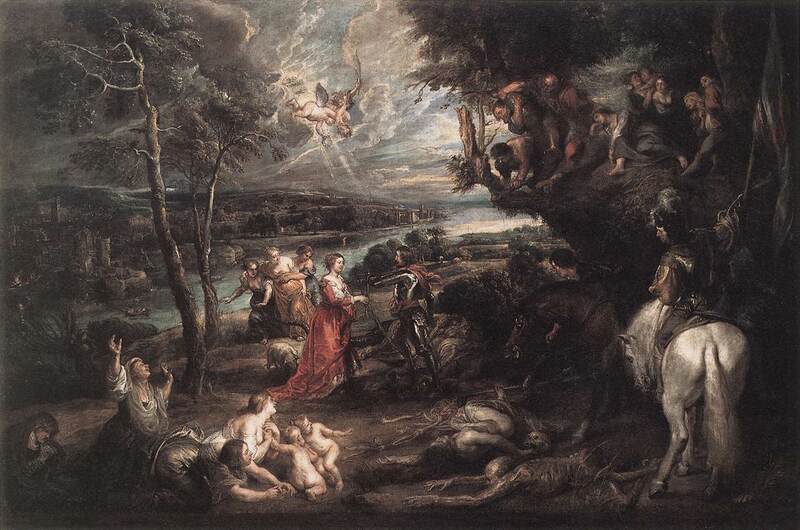 ﻿ Then the king and all his people were baptized, whereupon Saint George killed the dragon and cut off his head. It took four ox-carts to remove his body from the city. Abstracted from The Golden Legend; or, Lives of the Saints, compiled by Jacobus de Voragine, Archbishop of Genoa, 1275. 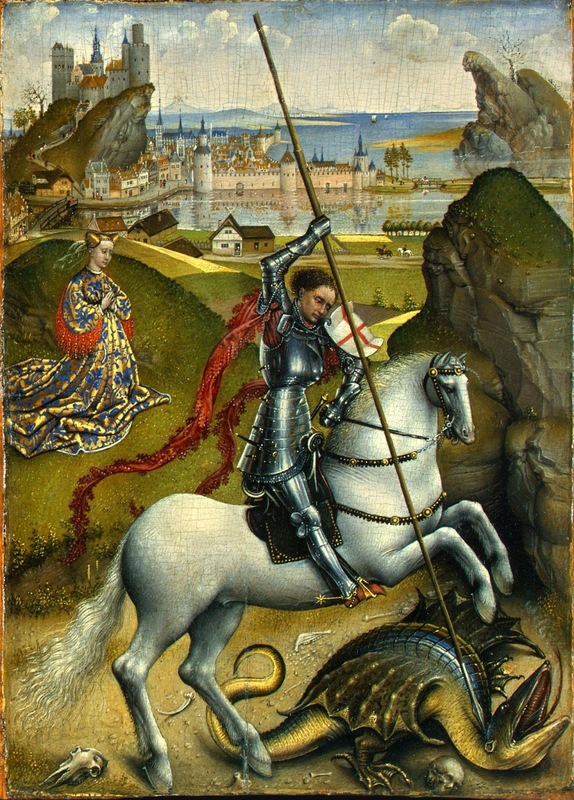 First edition published in 1470. 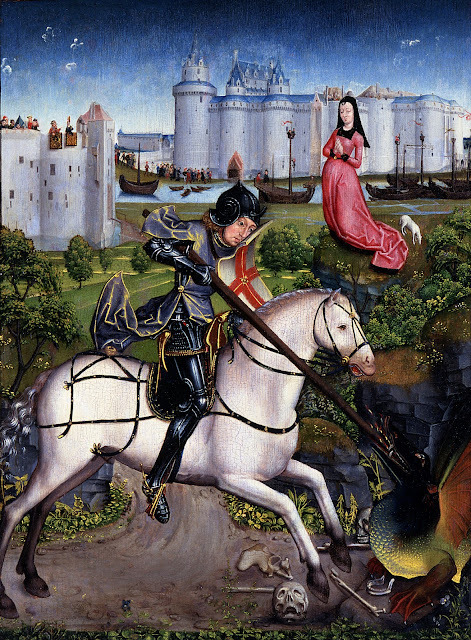 Translated into English by William Caxton, first edition 1483.